We’re G-R-O-W-I-N-G! To best accommodate you, we have been looking for the best stylists in Austin to meet our high standards at KaRu Salon. At KaRu, we are committed to providing you with five star customer service and the highest quality services. Every stylist at KaRu must have a minimum of at least 5 years experience and test out of our advanced education program. 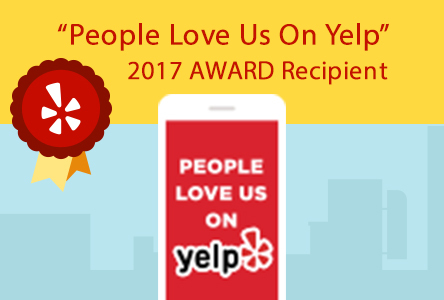 This high standard for quality has kept our 5 star rating on Yelp and Google consistently for 5 yrs upon opening in 2010. We are very happy to announce that we have found two uniquely talented stylists that perfectly compliment our team, Dionne Young and Belle Cardinal. Belle Cardinal has spent the last 5 years refining her craft as a hair stylist trained in the Vidal Sasoon cutting method. With an extensive 15 year career as a Make-up Artist for MAC, POP Beauty, and PUR Minerals, Belle’s passion for the beauty industry led her to pursuing hair artistry. Belle has an eye for ombre and balayage looks, as well as trendy cuts. Belle’s craft lies in her interpretation of clients needs, thus allowing their beauty to truly shine. Dionne Young is a Vidal Sassoon trained stylist and colorist with 23 years experience in the art of hairdressing. Her remarkable career has encompassed owning her own salon in Scottsdale, AZ and teaching some of Austin’s finest hairdressers as an Educator at Avenue 5 Cosmetology Institute. Dionne is also an expert in cutting curly hair with a certification in Diva Curl Cutting System and Goldwell Kerasilk Keratin Teatments. It’s not just our team that is expanding, we are also expanding our service list! KaRu is now offering Make-up and Brow Waxing Services. Includes bridal makeup trial, makeup for day of wedding, and makeup for one additional member of the wedding party. $195, $45 per additional person. A complete (non-bridal) makeup application. $50 or $175 for a series of 5 ($35 each). Makeup application focused on updating your makeup to the season and current trends. In-depth and customized to your specific needs, $95. Focused, specialized classes on specific topics such as, contouring, smokey eyes, perfect lips, and flawless foundation. $25 per person, 4-person minimum, includes a free gift for class members. Sunday-Thursday, $125 for three people, $25 per additional person.